It takes a certain kind of person to do whatever is necessary to make a living as a mixed martial arts fighter. And it takes another kind of person to stand out from all the rest as both a wild man and a rock star. Chris Leben, otherwise known as “The Crippler,” is that kind of person. Leben’s reputation started when he appeared on the inaugural season of The Ultimate Fighter, a reality show and competition where hopeful fighters live together and vie for a UFC contract and a path to greatness. He quickly made a name for himself with his controversial and abrasive behavior. During his subsequent ten-year career in ultimate fighting, Leben became one of the most recognized figures in the sport, enthralling audiences around the world with his wild, head-first style of fighting as he took on some of the world’s best fighters, including Anderson Silva, Yoshihiro Akiyama, and Wanderlei Silva. But Leben’s success in the ring and international fame hid a troubled background. Abandoned by his father at a young age, Leben’s mother worked long hours to raise him and his two siblings, and Leben learned early he had to be tough to fend for himself. For most of his life, Leben struggled with alcohol and narcotics, and he was suspended by the UFC for nine months for testing positive for performance-enhancing drugs. The Crippler is not just an exciting account of his rise to prominence within the UFC; it’s the incredible story of a renowned wild man dealing with his personal demons and learning that the toughest opponent is always yourself. Chris Leben is a ten-year veteran of the Ultimate Fighting Championship. While growing up in Portland, Oregon, he became interested in mixed martial arts at an early age. After being a participant on first season of The Ultimate Fighter, Leben went on to put together a 22–12 record and become a fan favorite before retiring in January 2014. Leben currently lives and coaches MMA fighters in San Diego, California. Daniel J. Patinkin is a Chicago-born writer and businessman. 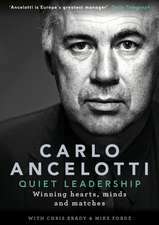 His unique career has spanned the real estate, finance, education, and entertainment industries. He earned a BA in English and history from Indiana University and an MFA in producing from the University of Southern California. 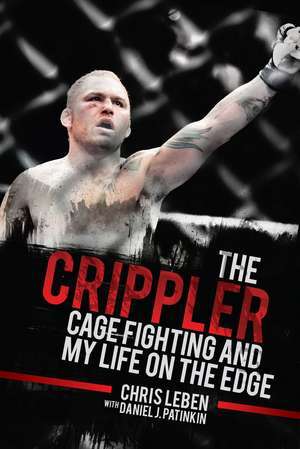 The Crippler is his first book. He lives in New York City.